Extell Development Company acquired the land from two firms under the corporate umbrella of the Netherlands-based Stichting Mayflower. The acreage is on the Deer Valley Resort side of U.S. 40 at the Mayflower exit. It is just south of Deer Valley's Jordanelle Express Gondola. The property was listed without a price in 2014. The acquisition price was not publicized. Extell Development Company also holds a 40-acre piece of land, known as the Blue Ledge parcel, north of Mayflower, according to the firm. 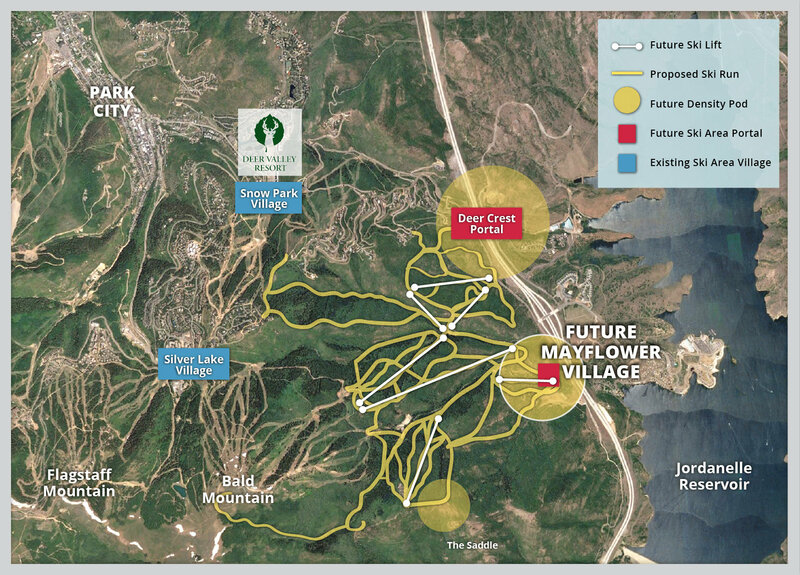 The two properties combined are 'anticipated to provide an unparalleled platform for a new resort village and ski improvements,' a release from Extell Development Company says. 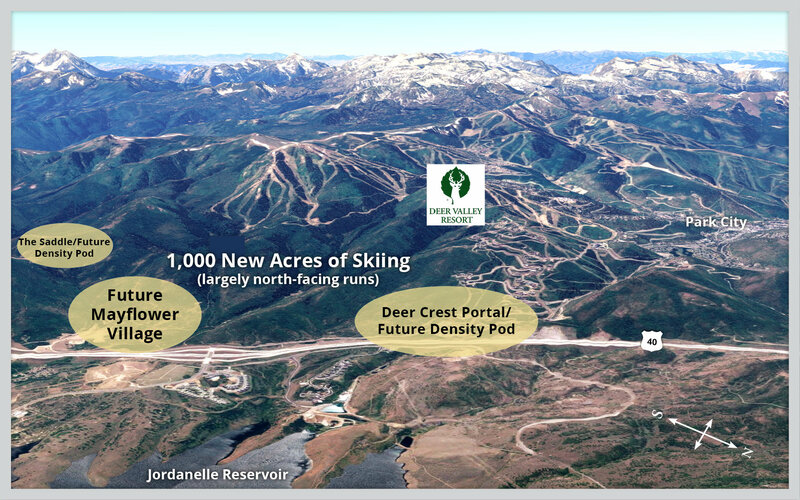 'The combination of these two prime parcels, in close proximity to the Deer Valley Resort and the Jordanelle State Park recreational area, offers a unique opportunity to create a year-round master-planned luxury resort destination, including, and perhaps, most importantly a new ski portal and alpine village,' Van Hemeyer, the firm's vice president of acquisitions, said in a prepared statement.